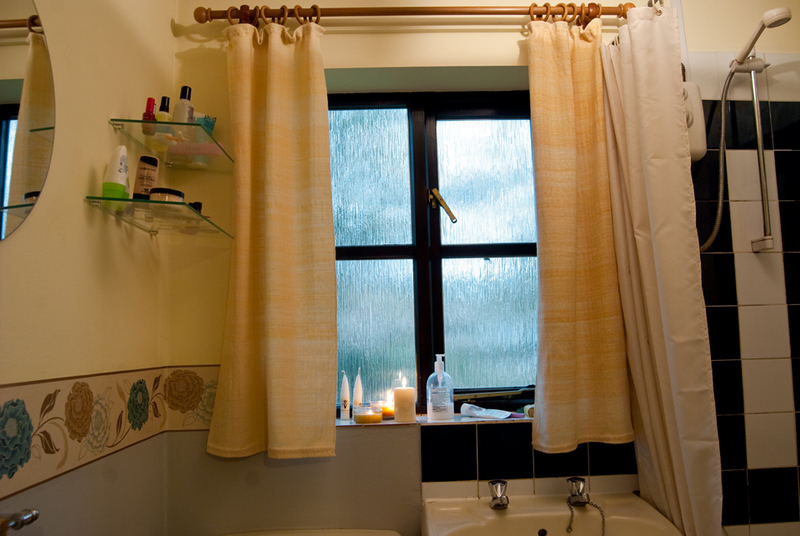 it's Woolly Wednesday again and a great opportunity to once again show off my finished bathroom curtains project. Finishing the curtains means that I've been able to officially start this sock project. 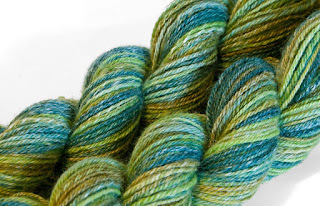 I've now finished spinning this really lovely fibre from Yummy Yarns, it's BFL / Bamboo dyed in 'Water Sprite' colours (I especially love the bluey green). This time I've spun really fine, again by hand spindle, and navajo (chain) plied to concentrate the colours. I have two skeins of reasonably fine 4-ply (which *should* be identical, I split the fibre down the middle) and I'm looking forward to seeing how the colours stripe when knitted. Another dormant WIP may see some action soon is my Tatiana pullover. I'm not spinning this one but using Ashford's Tekapo 100% wool in dark red (looks brighter in the photo than it really is). 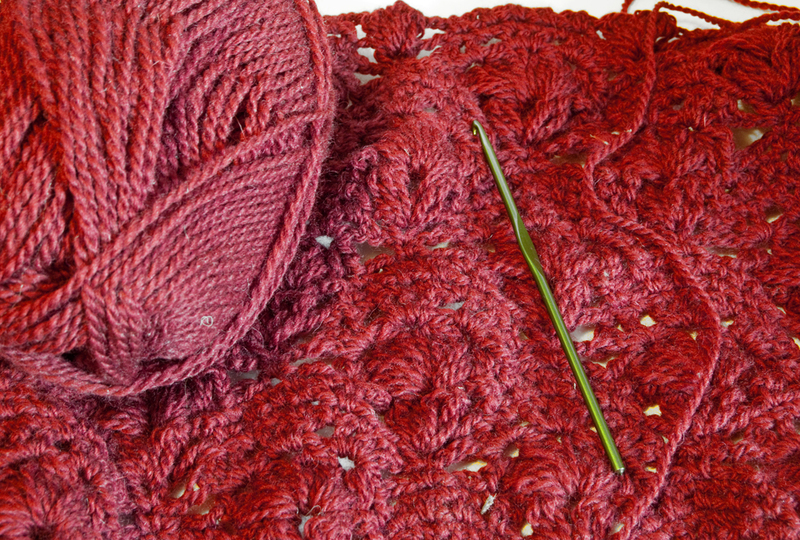 I'm dipping my toe in the crochet pool, I'm relatively new to it. This jumper has a lovely 'shell' pattern made from puff stitches, which I'm enjoying. It's fantastic to see such a mammoth project come to completion. I have so much handspun I haven't done anything with. Thanks Lydia, mammoth is right, but I can say that I enjoyed every minute, and so satisfying to see the result. I'm newer to weaving than knitting but is a quick and enjoyable way to use handspun. 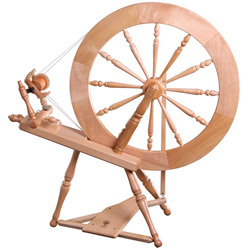 I am in awe of all things woven, as I cannot do it. How wonderful to have been able to make something from your own handspun that will be used every day, and bring some homemade beauty to the bathroom. Wow, how wonderful to weave your own curtains ... I am sure I will get into weaving one day!